The bank threatens to stop lending. The delays with the reformation of NJSC Naftogaz Ukrainy and the resignation of independent members of its supervisory board will shake international confidence in the intention of the Ukrainian government to reform key state-owned enterprises, and complicate the possibility of further financial support, the President of the European Bank for Reconstruction and Development (EBRD) Suma Chakrabarti said in a letter to Ukraine's President Petro Poroshenko and Prime Minister Vladimir Groysman. "After a series of unpleasant events, independent members of the supervisory board of Naftogaz are going to resign. If this happens, it will not only be a crushing blow to Naftogaz at a time when the reforms have begun to take root, but will also shake international confidence in the intentions of Ukrainian government to reform and restructure Naftogaz and other key state-owned enterprises," the document reads. Chakrabarty expressed concern that the initiated reform of the gas market and corporate governance of Naftogaz, according to a plan of action signed between the government of Ukraine and the EBRD, could fail if Ukrainian authorities did not take the necessary measures in the coming days. In particular, the draft state property policy for Naftogaz still contains provisions that are contrary to the spirit of corporate governance reform, which may hamper the implementation of intentions to independence and protect the company from unnecessary political interference. "This should be addressed before the approval of the state property policy. Naftogaz should also become the face of private law, as it was originally agreed, so I ask you to do everything necessary to enact the new Naftohaz charter and supporting legislation by the end of this month," said the president of the largest financial investor in Ukraine. Chakrabarty stated the belief that the latest changes to the law of Ukraine "On the Prevention of Corruption" unreasonably extend demands applied to Ukrainian civil servants the obligation to disclose financial information on the existing and potential members of the sub-councils of state enterprises. This will scare away candidates with international experience from running for these positions, because of which Ukraine will not receive the necessary qualified services for the transformation and organization of good governance in state enterprises. In addition, the president of the EBRD called for temporary measures to be taken to ensure the proper financial condition of Naftogaz during the transitional period until the country's gas market is completely liberalized. Chakrabarty says urgent steps should be taken in three main directions: opening the market, reforming the system of housing and communal subsidies and reforming the special responsibilities of gas market participants. In particular, it is necessary to complete the implementation of supporting legislation and open up the gas market, as stipulated in the implementation plan for the gas sector reform adopted in 2015. It is also necessary to start reforming the system of housing and communal subsidies in order to improve financial discipline, restructure the debts of district heating companies and monetize subsidies at the utilities level, which is extremely important for the financial sustainability of the gas and energy sectors. At the same time, extension of special duties in the gas sector for the period after April 1, 2017 without a progress towards market liberalization and subsidy reform may negatively affect the financial state of Naftogaz, as a possible double payment of dividends at the level of subsidiaries and parent companies will further damage the company's financial standing. 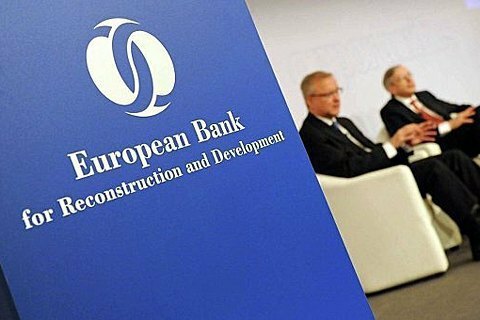 "The EBRD continues to provide Naftogaz with substantial financial and technical assistance to help Ukraine ensure gas supplies, diversify transit routes and modernize the pipeline network. To preserve these achievements, it is necessary to fully and timely fulfil the responsibilities agreed upon by Ukraine and the EBRD," the document concludes. Previously, four of the five members of the Supervisory Board of Naftogaz stated their intention to resign in a release. The document was signed by the British Paul Warwick, Marcus Richards, Charles Proctor, and Yulia Kovaliv.